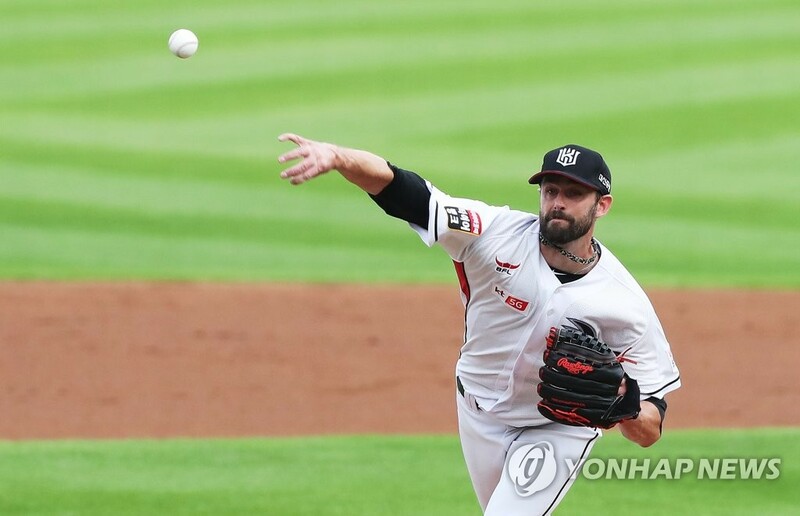 SEOUL, Nov. 30 (Yonhap) — South Korean baseball club Lotte Giants severed ties with American second baseman Andy Burns on Friday. The underachieving Korea Baseball Organization (KBO) team had been expected to cut Burns, and it was made official when the league office unveiled the list of released players from all 10 clubs. Burns offered some pop from the bottom half of the Giants’ lineup in 2018 with 23 home runs and 34 doubles, but he also committed 22 errors, 14 more than in 2017. ㅍThe Giants finished seventh and missed the postseason, despite boasting the KBO’s highest payroll at 10.5 billion won (US$9.4 million). KBO teams may still hold on to reserve rights to their foreign players even if they don’t re-sign them. In that case, such players can’t join another KBO team for five years without the consent of their previous team. But players like Burns are free to sign with any KBO team. Clubs have often been reluctant to grant foreign players their unconditional release because they didn’t want their ex-players to compete for rivals and hurt them in the future. In all, from 662 players on active rosters for the 2018 season, 66 players have since become free agents or are completing their mandatory military service. After the season, teams have cut an additional 73 players. Among other foreign players, the NC Dinos, dead last in 2018 after a string of four consecutive playoff appearances, released all three of their imports — pitchers Logan Verrett and Wang Wei-Chung, and outfielder Xavier Scruggs. They signed former major league right-hander Drew Rucinski earlier on Friday. The reigning champion SK Wyverns chose to retain rights on right-hander Merrill Kelly, even though the American is expected to seek opportunities in the majors. The Wyverns are trying to re-sign Dominican right-hander Angel Sanchez and Canadian slugger Jamie Romak for another season. The KT Wiz have already replaced their two American starters from the 2018 season, Dustin Nippert and Ryan Feierabend, with two new pitchers, and relinquished rights to both as well. This likely spells the end of a long and mostly successful KBO career for the 37-year-old Nippert. The 2016 regular season MVP is the KBO’s winningest foreign pitcher ever with 102 victories and also its longest-tenured foreign pitcher with eight seasons — the first seven of which were with the Doosan Bears. Nippert was 8-8 in 29 starts with a 4.25 ERA, perhaps not impressive enough to convince teams to pursue the aging veteran.